If you have a Kroger Store nearby, you will LOVE this deal!! 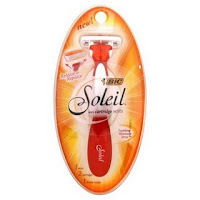 This week they have a promotion on Bic Soleil Razors. Pair that with the B1G1 Free coupon from the 1-10-10 SS Insert and you will get BOTH razors for free! This deal was tried and tested by My Dallas Mommy today and it works! Thanks for sharing!